We love crafting and making things, especially for Christmas. Building Gingerbread houses, decorating ornaments, and everything in between. Count us in for craft days. So, when I had to come up with a craft to do with my oldest son's 3rd grade class for their Christmas Party, I went straight to pinterest. EEK! 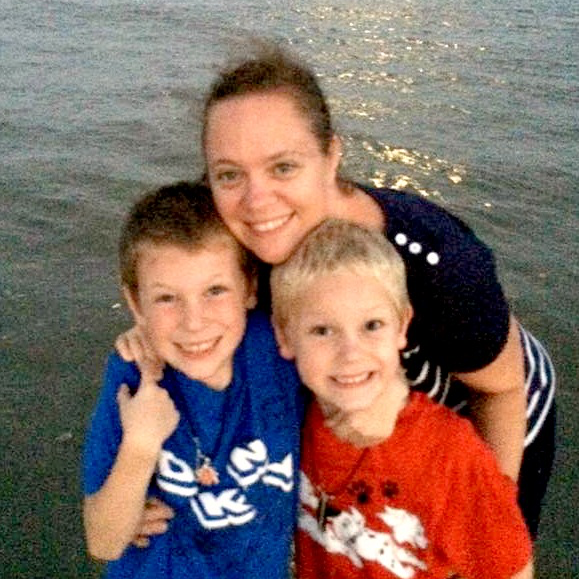 What could I do for 17 eight and nine year old that is fun, easy, simple, quick to make, and something they would like to keep??? 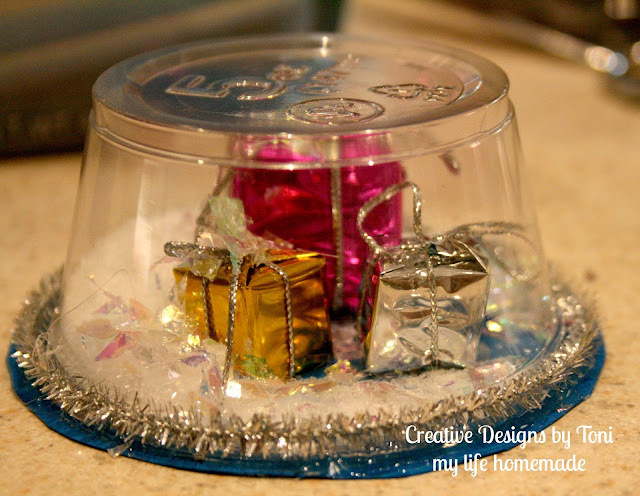 I searched through pinterest and found this super cute Snow Globe Ornament Craft that was featured on Parents Magazine. I knew it would be a hit! Something I could make with them all and something they can hang on their tree when they get home. So, before I attempted this craft with the class, I had to try it out first just to see how easy or not so easy this was going to be. I only get an hour with them and we have a lot to get in there. 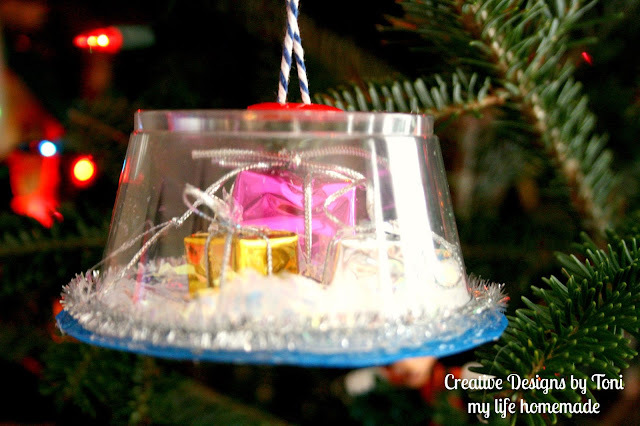 It turns out, this Snow Globe Ornament Craft was so easy to make and the end result is absolutely perfect! 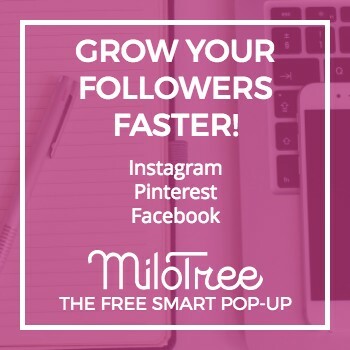 I just knew I had to share how we made it, with just a few little tweaks. 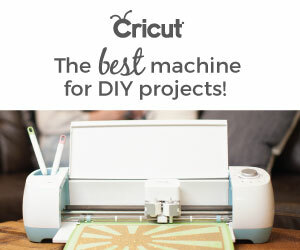 Get to crafting! 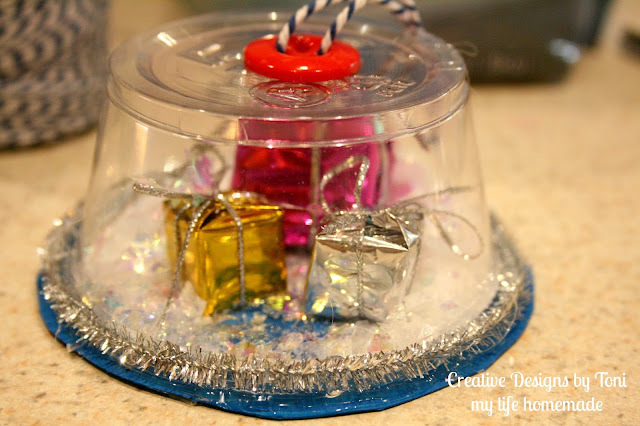 Mini trinkets (Used mini presents) can be trees, animals, anything that will fit under the cup. 1. 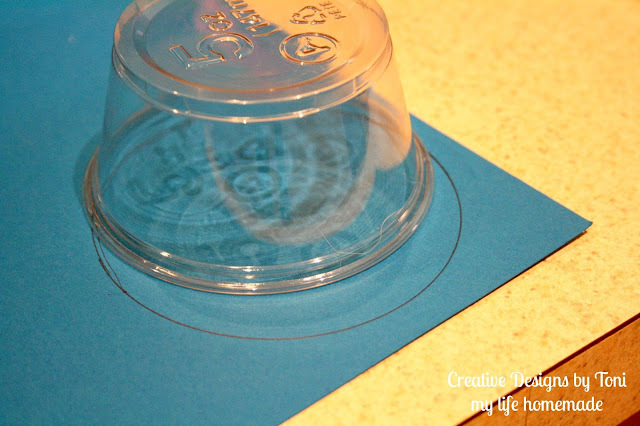 Place cup/bowl down on cardstock, lid down, and trace the rim of the cup on the paper. 2. Cut circle out a little larger then the circle you traced. IMPORTANT Do not cut along the line, please leave space between the traced circle when cutting. 3. 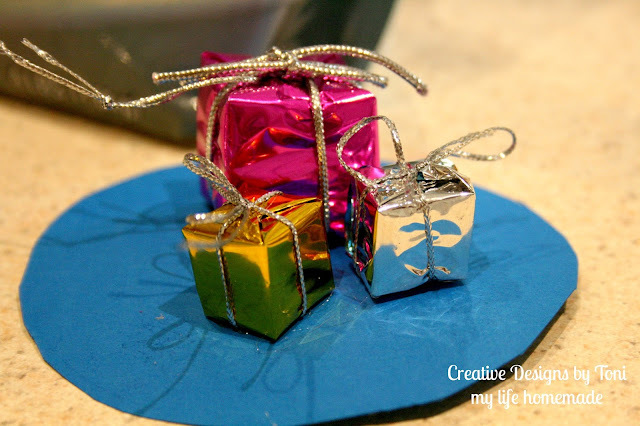 Using glue, attach the trinkets to the center of the cut cardstock circle. Let dry. 4. 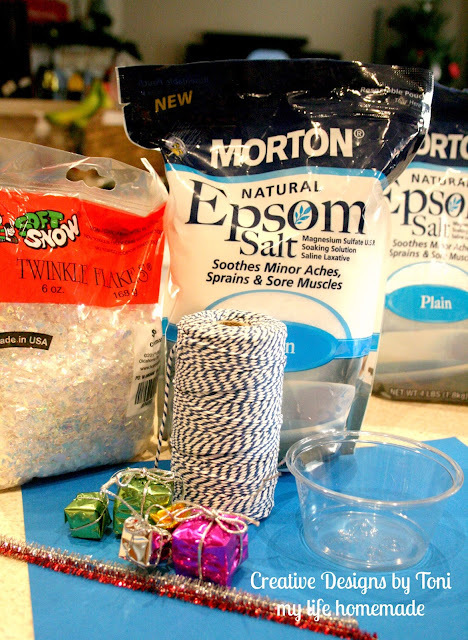 Place the cup/bowl upright and place about two teaspoons of epsom salt and 1 scoop of trinkle flakes inside. 5. 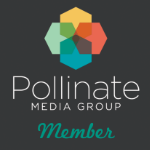 Using the glue (hot glue works best), place glue along the entire lip of the cup and place the circle cardstock on top of the glue, trinket side down to be inside the cup. Let dry. 6. 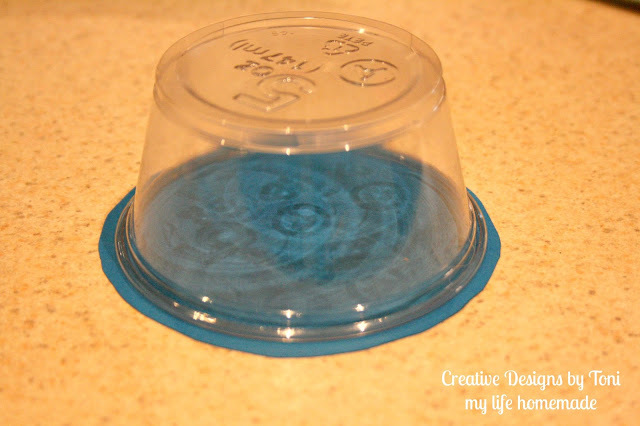 Attach the pipe cleaner along the edge of the cup/bottom circle using glue. Let dry. 7. Thread ribbon or string through the bottom, tie into a knot at the top. Glue button to the top of the cup/bowl. Let dry. 8. Hang on the tree!!!! How simple and cute are these?!?! I know these will be a hit at our party! I cannot wait to get started with them on creating these. This is something I hope they will keep for years to come!! 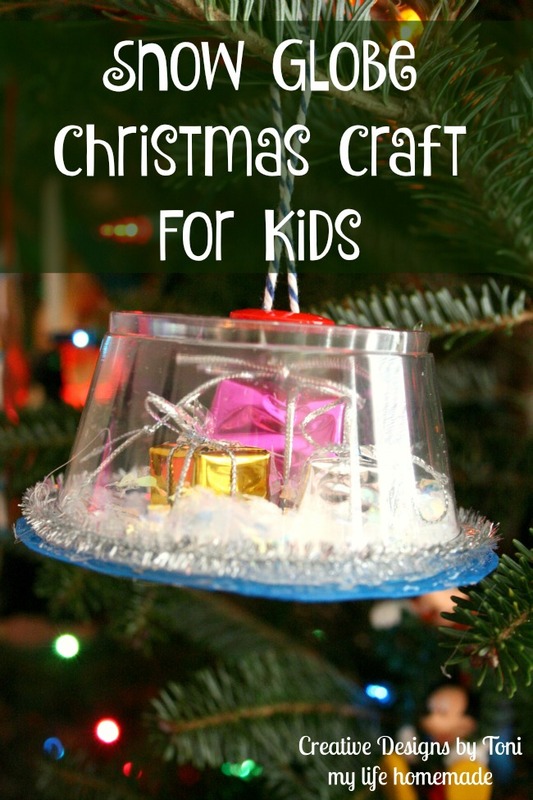 Be sure to head to Parents to see the original craft and more fun craft ideas.